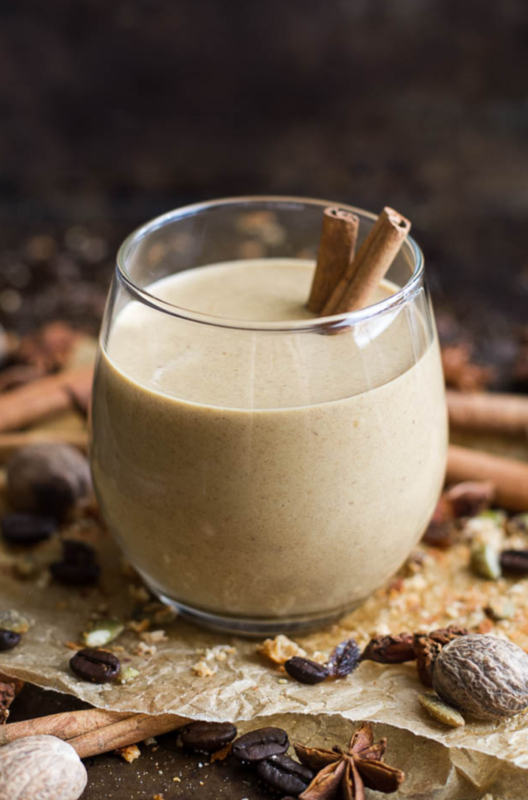 Add some spice to your post-workout protein, with this seasonal smoothie, guaranteed to refuel you with energy for the rest of your day. It’s September, which means it’s the season of the spices and time to get pumped with pumpkin everything. Here’s our healthy version of a Starbucks Spiced Pumpkin Frappuccino, so you can indulge in chocolatey pumpkin goodness, without any hidden nasties. 1. Chop your pumpkin into cubes, and sprinkle with the cinnamon, nutmeg, and ginger. Next, roast in the oven for approx 30 minutes at 180 degrees until soft. 2. Leave to cool, and then blend up with a small amount of water, until it makes a puree. 3. 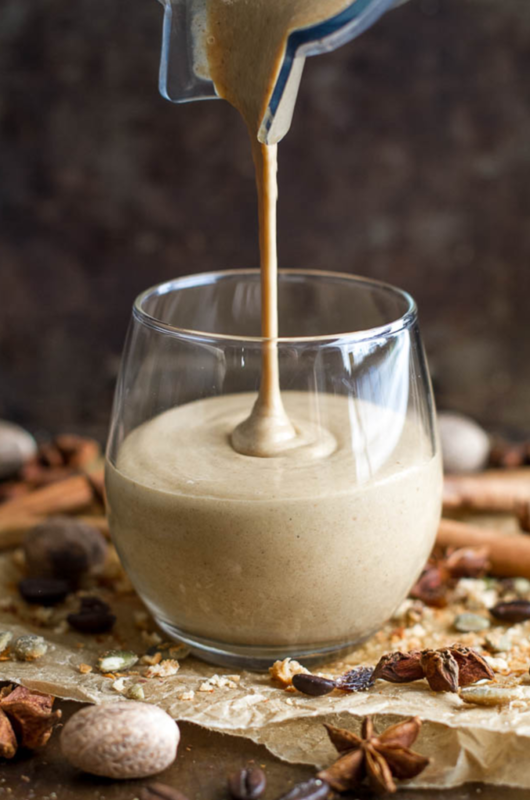 Now add the smooth puree into your blender with the almond milk, dates, almond butter, ice and protein powder of choice, we personally love sun warrior chocolate, or you can use vanilla too, it’s equally as delicious. Pour into a glass and enjoy the creamy deliciousness. Try these sumptuous smoothie recipes for more inspiration.